OK, I promise this is the last mention of the Rick Perry ad!...unless something funnier comes along! 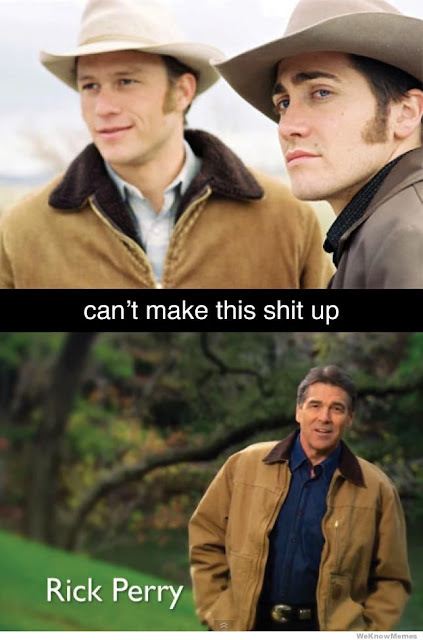 I thought you would also enjoy some examples of the new Rick Perry meme. 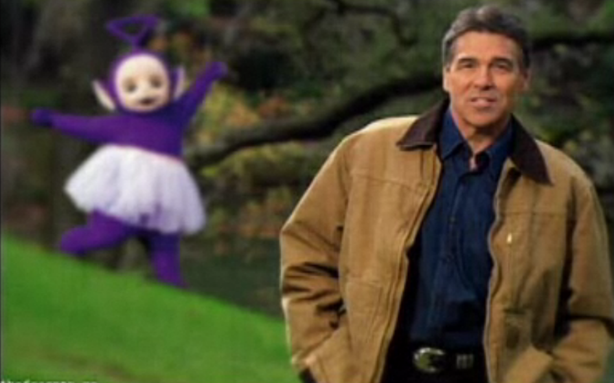 I can't decide which is better, Brokeback Perry or Tinky Winky Perry. 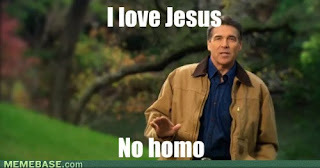 I'll let Pat Robertson decide.